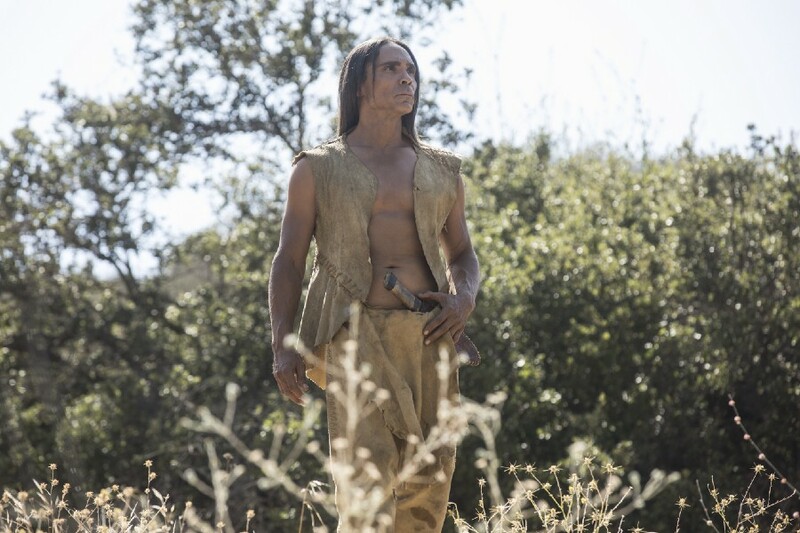 Kiksuya is a Lakota word meaning “remember,” and from the looks of these photos (as well as this week’s teaser), we will learn more about Ghost Nation and the backstory of their leader, Akecheta (Zahn McClarnon) – pictured above. Check out the remaining photos below the cut! 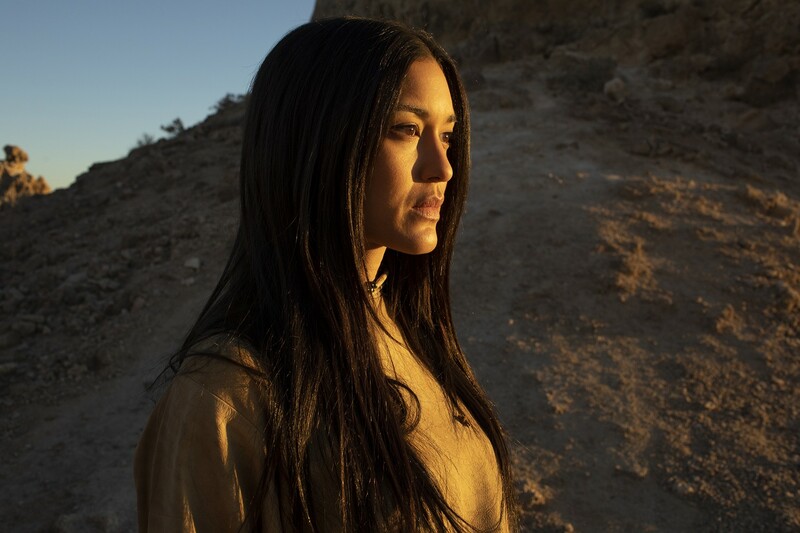 This appears to be Akecheta’s wife, played by Julia Jones. She is listed as Kohana on IMDb, but take that with a grain of salt as it’s not always reliable. If you watch the episode teaser, it seems as if she and Akecheta had a quiet, peaceful life in the early years of the park. At some point, Akecheta sees Delos techs taking her – perhaps she is decommissioned or moved to a new narrative? Here we have another Ghost Nation host, looking a bit surprised. Ghost Nation appears to have been created at some point after Arnold’s death and the loss of Akecheta’s wife. This looks to be Akecheta – perhaps headed to the Valley Beyond? 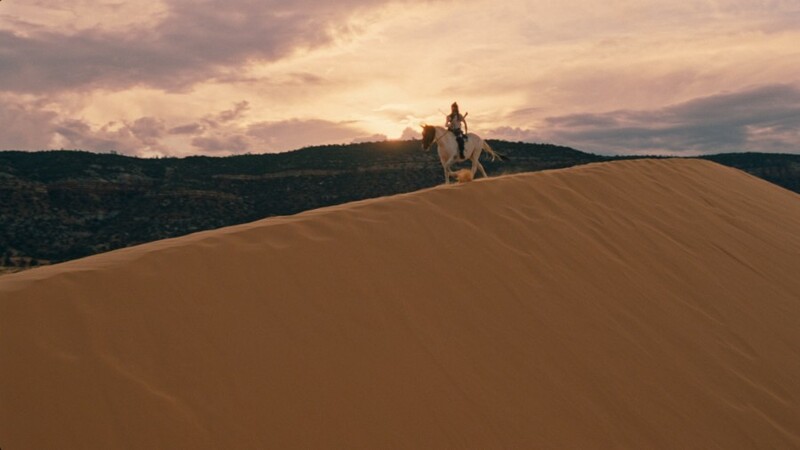 Or could this be a flashback of him finding Logan (Ben Barnes) in the desert? 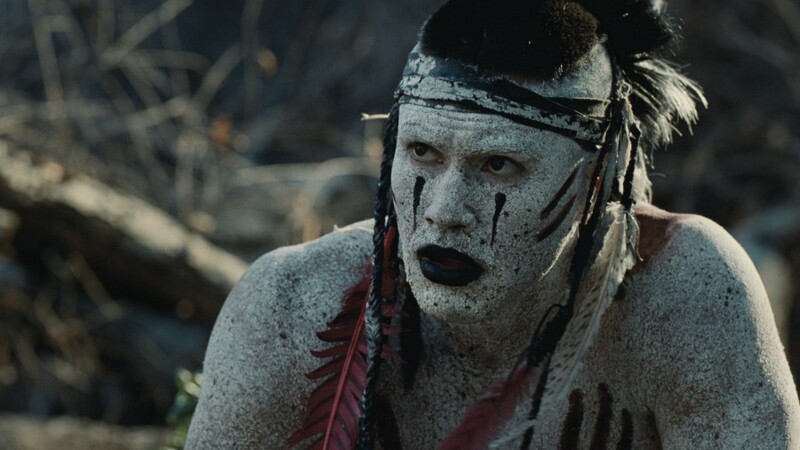 Next we have a close up Akecheta in full Ghost Nation garb, and the background behind him does look very similar to a shot of naked Logan leaning against a tree in one of the season trailers. 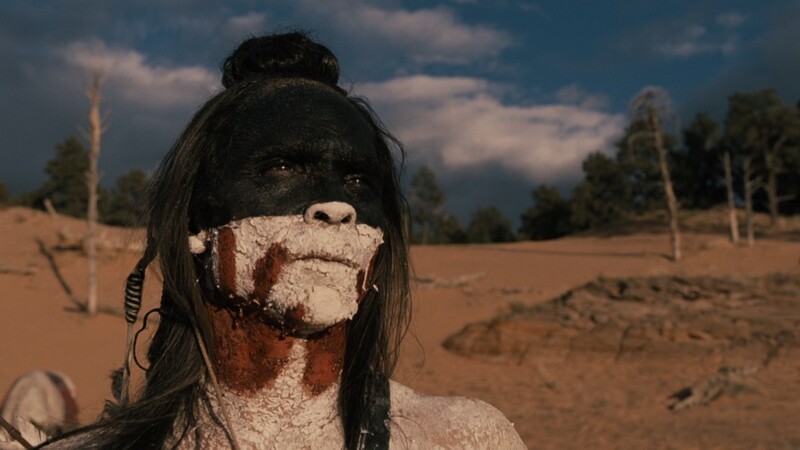 This episode will hopefully fill us in on Ghost Nation’s history, motivations, and purpose – Akecheta does seem to be self aware and trying to help human as well as other sentient hosts (like Maeve). We could even see what happened to Logan when William sent him off to the far reaches of the park! What do you think? Give us your predictions in the comments! Yeah really looking forward to the next episode! Ghost Nation has been a big mystery since the first season. Can’t wait to find out more about them. I think this episode is the one I’ve gotten the most excited about. I can’t wait to learn more about the Ghost Nation! Thanks for the pics!